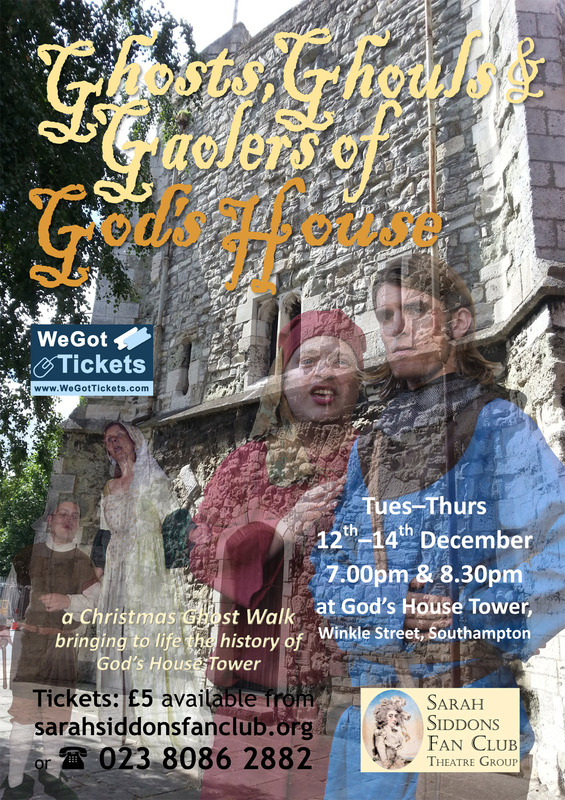 Its C hristmas time in the old Southampton Gaol at God’s House Tower, in Winkle Street and the Gaoler and his wife are full of Christmas ‘spirit’. 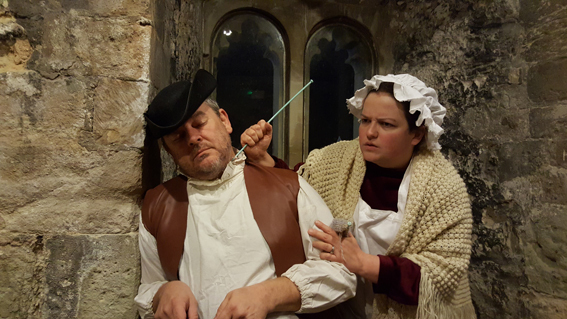 Join our merry pair as they look to earn a few extra groats for the holidays by leading a tour around the prison and its ‘guests’. Damned Debtors, Sickly Soldiers, Moaning Millers are just a few of the colourful characters anxious to tell a tale. Visit the Bridewell and Condemned Cell and join past inhabitants of Gods House Tower who have haunted the stones for 800 years. Yet again The Sarah Siddons Fan Club Theatre will be bringing Southampton’s history to life in the place where it happened. Join us this Christmas for the last chance to visit Gods House Tower before its upcoming million pound restoration. Spaces are limited and we are offering two shows per evening at 7 & 8.30pm. Next Post Deeds not Words!